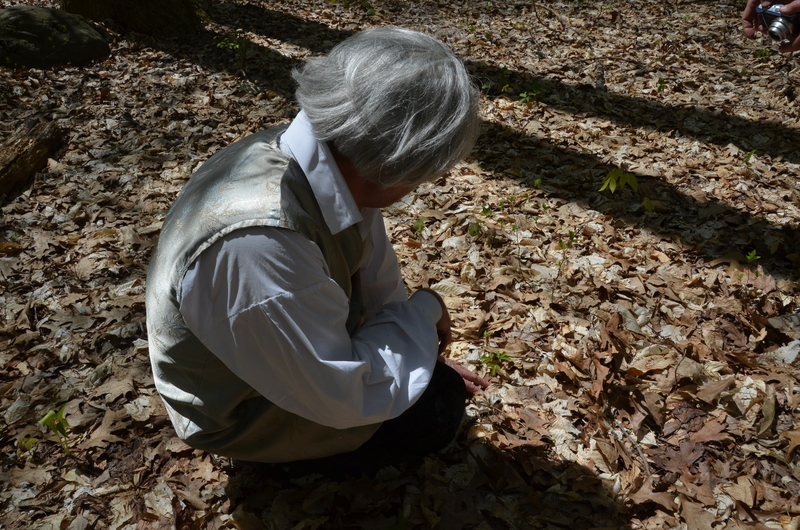 2014 March « John Bartram Lives! A gathering of tree tenders. 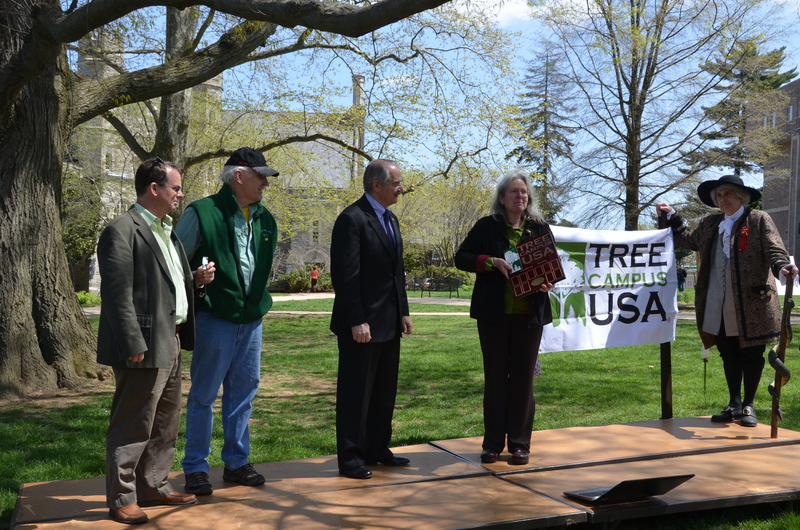 West Chester University was named Tree Campus USA. 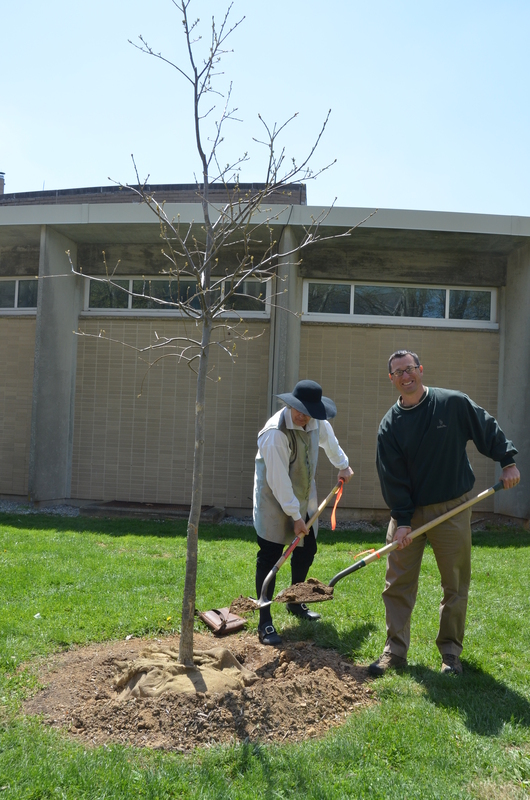 A ceremony of dedication was planned by School’s Administration during Earth Week and specifically on Arbor Day. 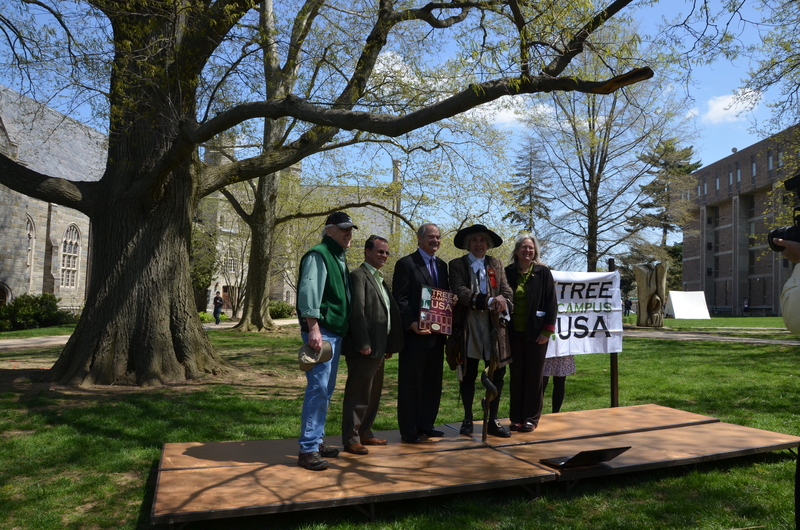 Formal dedication of the Tree Campus USA with the great Bartram Oak standing behind. The office of the President of West Chester University. Mr. and Mrs. Greg Weisenstein with Mr. and Mrs. John Bartram. Standard 1—Establish a Campus Tree Advisory Committee. This committee must include a representative from the undergraduate or graduate student body, faculty, facility management, and the community at large. 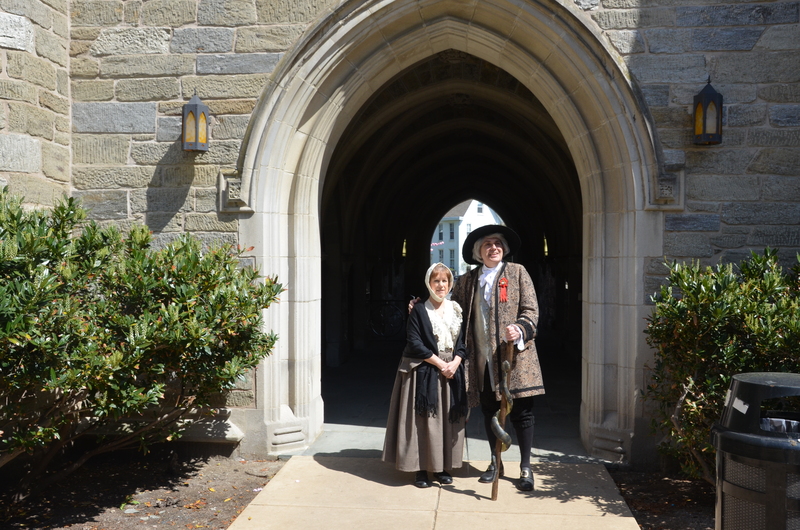 John and Ann Mendenhall Bartram near the gothic arcade. Standard 2—Manage a Campus-wide Tree Care Plan. From a clearly stated purpose, goals and objectives will be outlined. Responsibility and accountability will be defined. 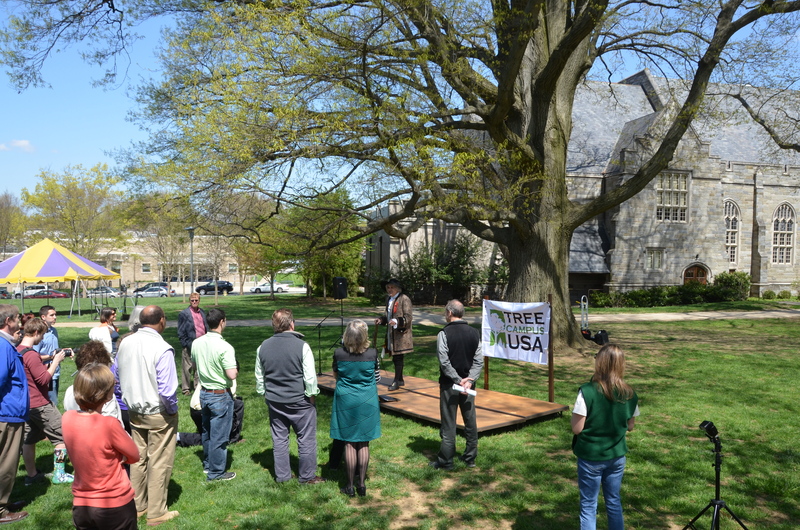 Standard 3—Campus Tree Program with Dedicated Annual Expenditures. The hard work of establishing any garden is the money required to plant and maintain it. A suggested budget of $3.00 per student is a base line. In fact, the national average among recognized Tree Campuses is currently $9.00 to $11.00 per student. That is an empowering statement of intent. 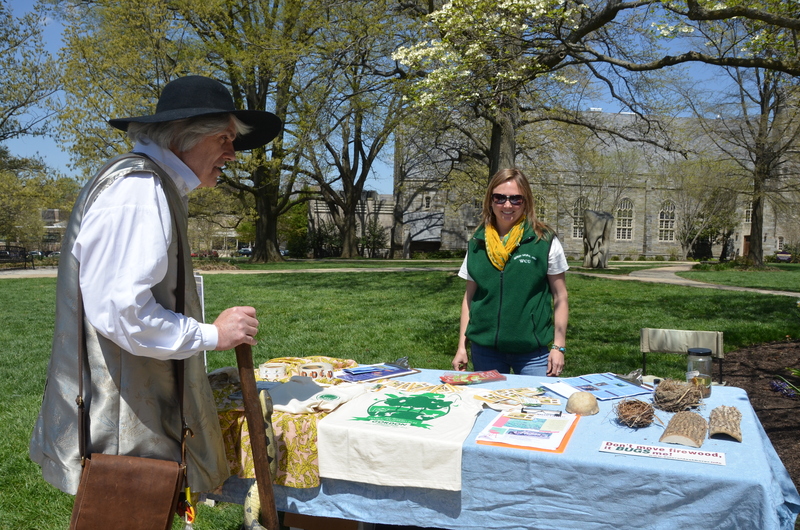 The Earth Day celebration carried over onto the Campus Quadrangle. Standard 4—Celebrate Arbor Day. I was present to witness the monumental undertakings that the college had put in place. A War Reinactment and conflict of interesting peoples. 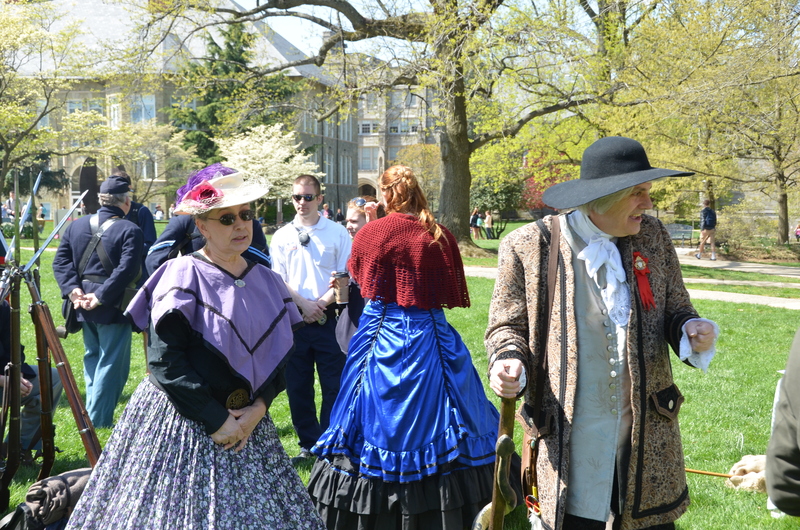 They had a grand military reenactment, a quad-full of earth day student organizations, and the recognition of their Bartram Oak. 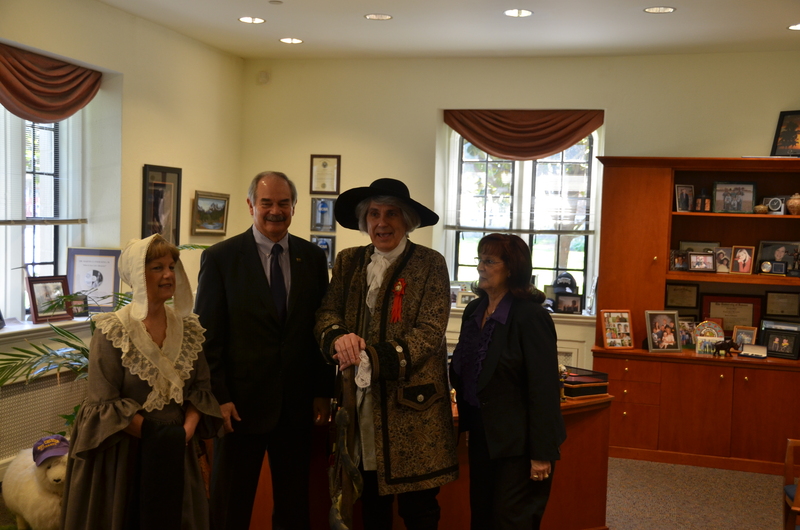 With John Bartram. Outstanding! Standard 5—Development of a Service Learning Project. At West Chester, the student body was actively involved in a series of tree planting and gardening projects. This was a very life-affirming group of young adults. In the wilderness searching for colonies of wild Ginseng. After the ceremony, I was shown the wilderness preserve. It was the spring season when the forest floor was coming alive. The curator of the wilds directed me to an area fenced off as protection from deer predation. The fencing was protecting wild Ginseng. 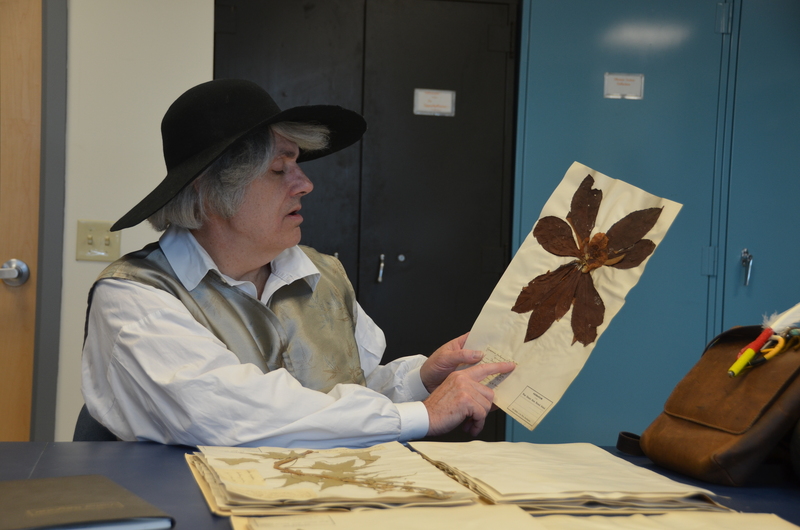 In the Darlington Herbarium, perusing Humphrey Marshall’s collection of Bartram’s Garden Franklinia alatamaha. 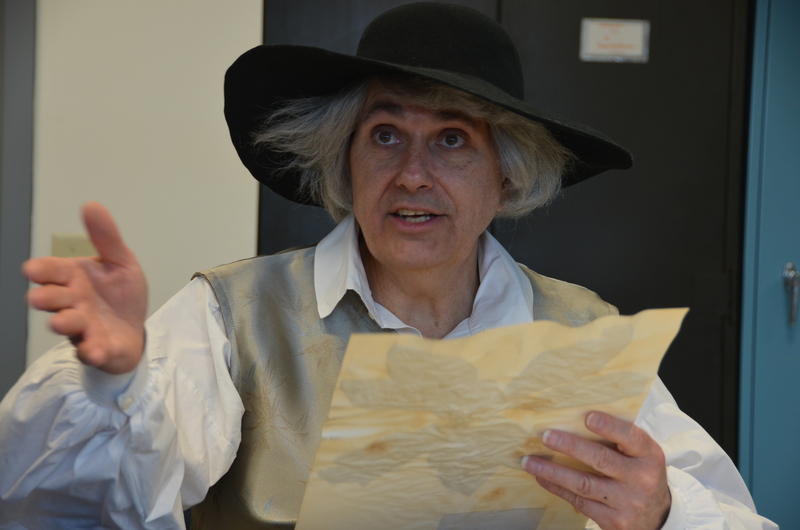 Lastly, the director of the herbarium unlocked the door to a room of wonder. Behind locked metal doors on cabinets lining the walls were books filled with hundreds of dried examples of natural botanical history. A book was brought out and placed on the clean steel surface in front of me. It was the collection samples gathered by Humphrey Marshall from Bartram’s Garden. Humphrey was my cousin. Our mothers were sisters. He had a collection of native specimens in a botanical garden he created in Marshallton. In 1785, he published Arboretum Americanum: the American Grove, an Alphabetical Catalogue of Forest Trees and Shrubs, Natives of the American United States. And there in my hands was the result of his passionate dedication to collecting. From my garden. And possibly a leaf and flower from the first successfully cultivated Franklinia Altamaha. The surprise of coming up against a Franklinia leaf collected from Bartram’s Garden in the first generation of its discovery.